April 18 is coming fast, and if you haven’t filed your tax return yet, here are some quick things you ought to make sure you do first. There is a lot of paperwork and details to get in order to prepare your income tax return. When it comes down to the filing deadline wire, it’s important to make sure you have all your ducks in a row before you file your return. Whether you file your tax return on your own or work with a CPA to file for you, there is a set of ceremonious things you can do as you say bon voyage to 2016. Everything from your W-2s and 1099s to your charitable contribution deposits should be kept with your tax return. Having copies of these items with your tax return ensures that you have accurately reported any and all wages, deductions, and contributions. It can also make it easier to keep yourself organized in future years when you know exactly which documents you need to have handy. It’s a good idea to double-check your bank account information if you are requesting an automatic deposit and/or withdrawal from your checking account for your refund or for what you owe. You wouldn’t want the IRS to not be able to deposit your money and you definitely don’t want their ire if they can’t collect from you. These days, the IRS requires that all individuals have healthcare coverage for the full year. There is a box on your tax return (line 61 of Form 1040). You should have received a Form 1095-B that confirms you were covered for the entire year that you keep for your records with your other supporting documents. This may sound so simple, but it’s a step you don’t want to forget. Make sure you and your spouse sign your tax return before filing. Most people don’t review their tax return once it’s prepared, especially when done so by a tax preparer. You should. Thumb through your tax return, and make sure everything looks accurate. Things that may jump out at you may be your address, social security number, the spelling of your name, and wages and contribution numbers. Just be sure to scan over everything, and don’t hesitate to ask your tax preparer if there is anything that doesn’t make sense. And certainly tell your tax preparer if you know any of the information on your tax return is wrong. April 18 is only a few days away. If you know you won’t be able to file by the deadline, now is the time to request an extension. You just need to complete Form 4868. The IRS will automatically grant you the extension, so don’t delay. 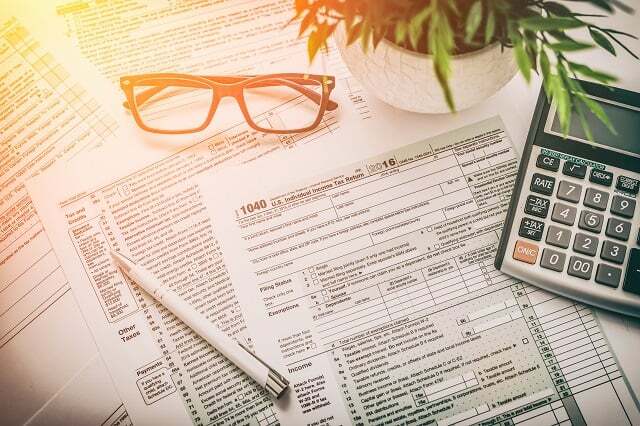 Whether you are still waiting on necessary tax documentation or some unexpected life event happened that makes it hard for you to file on time, the IRS will grant you the extra time to file. There is a catch however, because the IRS is not completely altruistic in their filing leniency. They won’t grant you extra time to pay any taxes you owe, so you still must pay your taxes by your original tax filing deadline. If you don’t, the IRS will charge you one-half percent each month on the amount of the tax you owe. Looking for more tax tips? Be sure to read 6 Super Easy Ways to Save Big on Your Taxes This Year and listen to our podcast 10 Huge Tax Mistakes You Don’t Want to Make.